Copper Chimney, one of the well-known restaurants under the Blue Foods banner, is synonymous with serving some of the best gastronomic delicacies from the North West Frontier Province and North India. One of the prime attractions of the restaurant is their yearly food offerings in the Great Kebab Festival which is flocked by loads of food lovers. Kebabs, though of Middle Eastern origin, are some of the most talked about and eaten dishes in the Indian subcontinent. Made famous by the Nawabs and Nizams, kebabs were originally made of red meat but owing to various religious and personal preferences have been developed in chicken, vegetarian and seafood varieties. Invited to sample this year's offerings at Copper Chimney, we had great expectations from the Kebab festival and the wide range of kebabs left us quite impressed. The special menu at Copper Chimney serves vegetarian, chicken, lamb and seafood kebabs, all with subtle taste differences which make them quite unique as compared to the regular fare. Served with the kebabs were four combinations of chutneys to go with them. There was the yellow mango chutney which had a tangy taste, the mixed fruit which provided the sweetness, a tomato chutney and the customary green mint chutney without which any kebab dish is incomplete. 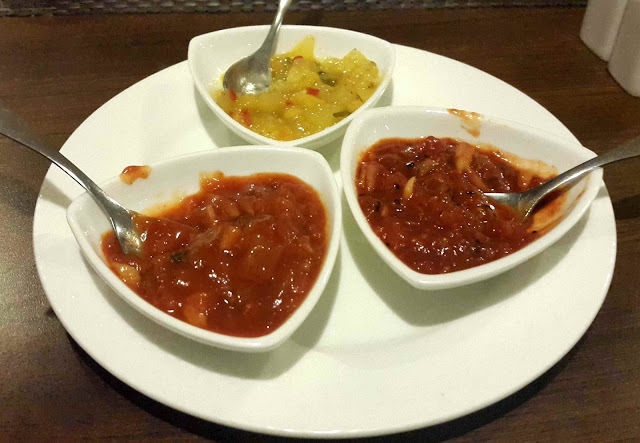 A general fan of chutneys, I fell for the mango and mixed fruit chutney and savoured some parts of my naans with them. 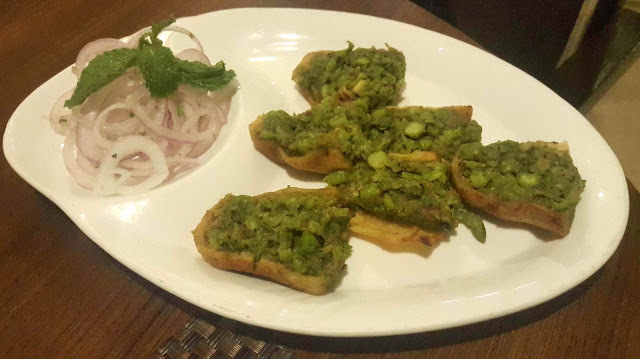 We started off with the Tandoori Barbari Aloo, a preparation of peas and khoya stuffed as a filling into scooped out potatoes. Cooked in the clay oven, the masala of the peas was spicy and flavourful with the potatoes providing an excellent base to diminish the spices. An occasional dip into the mango chutney brought in a riot of flavours which I quite enjoyed. 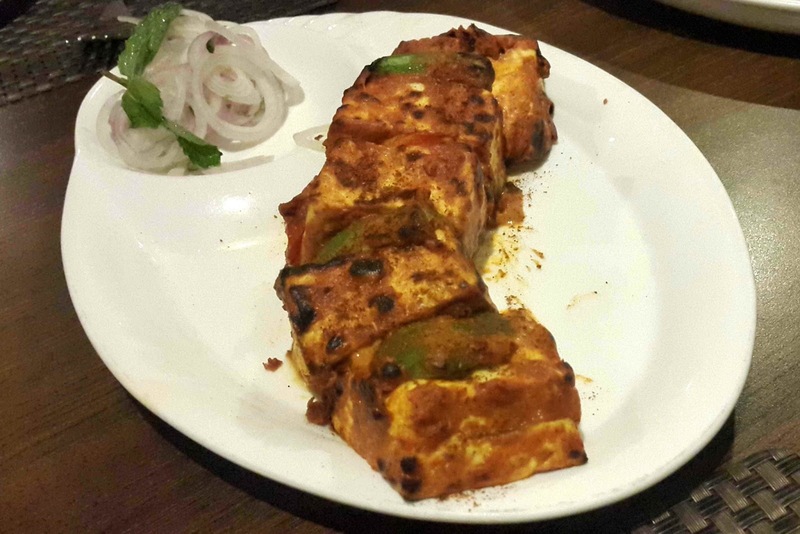 Along with the Tandoori Aloo, we were served Paneer Tikka with a twist of almond paste in between. While the paneer was soft, the taste of the almond paste was masked by the masalas to some extent. 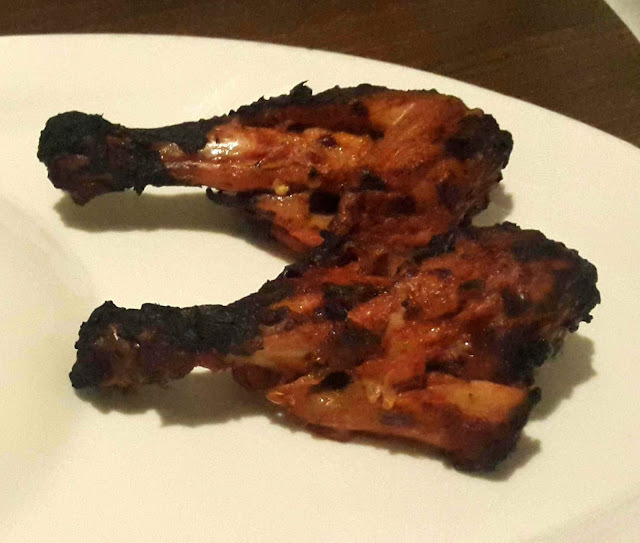 Presented with the non vegetarian options, the Murgh Makhmali Sheekh was a definite hit for me. Though we are more used to sheekh kebabs being made of mutton, the chicken sheekh was meaty and had the desired consistency as one would expect. Additionally the insides of the sheekh was layered with molten cheese and chilli flakes, which maintained the spice level of the dish and gave it a sharp contrast taste wise . The preparation best eaten hot as the cheese becomes extremely rubbery as it cools down. Another non vegetarian option which I liked was the Jaituni Jhinga kebab, tiger prawns in a cardamom yoghurt base which gave a sweetish creamy taste to the overall dish. The prawns were well de-veined but had detachable tails for eating them without getting you hands dirty. 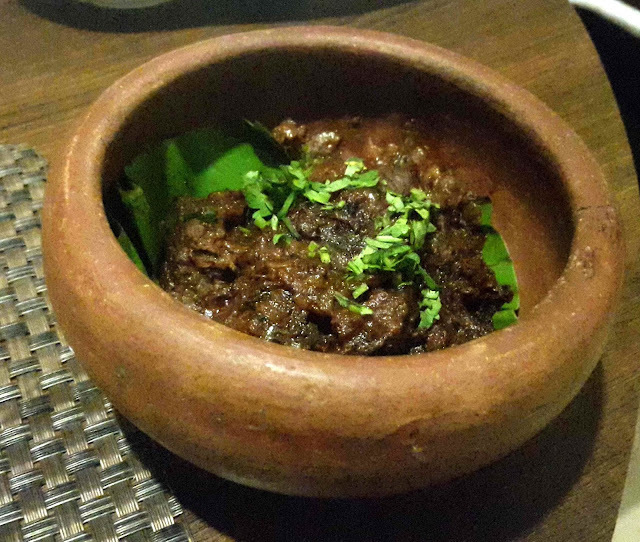 The highlight of the menu was the Lagan ki Boti served with Ulta Tawa Paratha. Spiced with cumin and cinnamon, I quite liked the gravy which was rich but tasty. 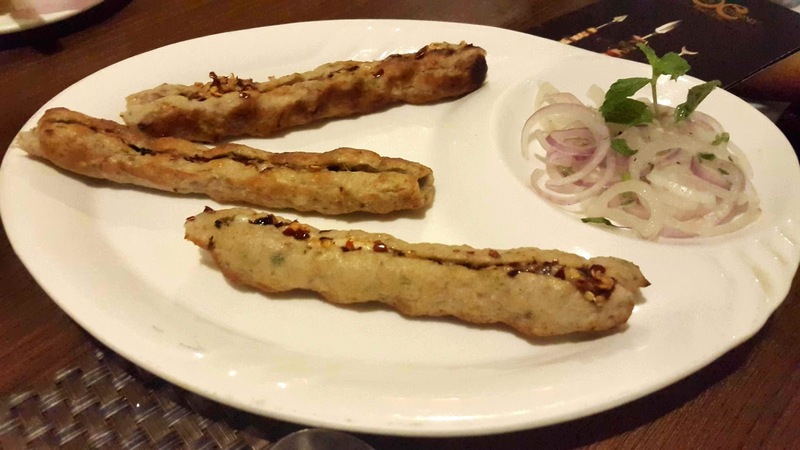 Even the pieces of meat were succulent and juicy which made it a joy to have with the Ulta Tawa Paratha. 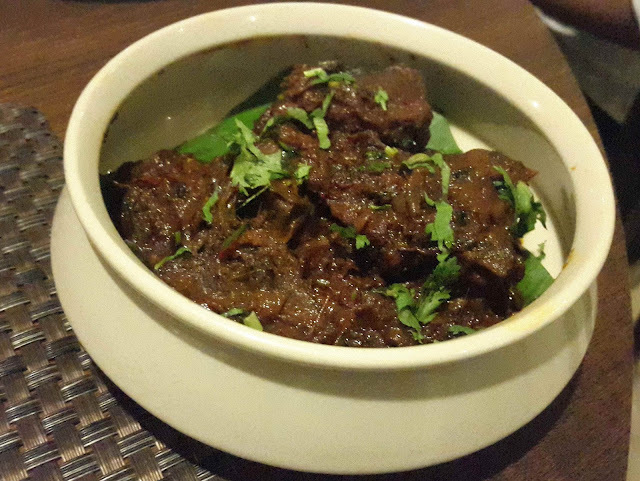 The vegetarians can also enjoy this dish with jackfruit being substituted in place of mutton - Lagan ke Kathal. Having tried out the kebabs both in North and South India, what amazes me is that the spices and marinades are quite different from place to place depending on the local taste. The kebabs of the North have a lot of flavour owing to the use of rich spices like cardamom, cumin and ghee while the Southern ones are hot with different types of chillies being the main differentiator in taste. The Great Kebab Festival provides a great experience by highlighting the differing tastes of varieties in North Indian kebabs, thus making it an enriching experience. 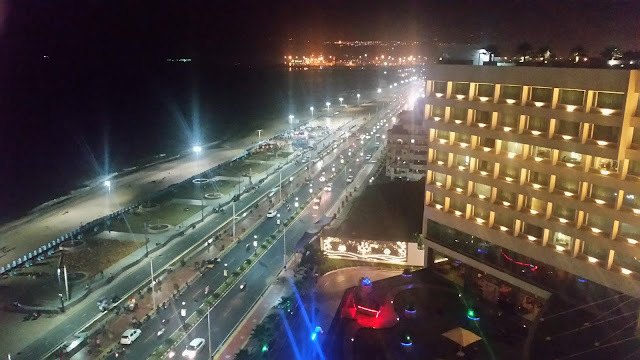 Cost : Around Rs 1500 for two people for a separate ala carte menu from which individual dishes can be chosen. I feel hungry after seeing the pictures!